The last two years have been a whirlwind. Two moves both far away from family and friends and everything familiar. And in this craziness I picked up writing. He's using this to open me up and make me brave. Writing became an outlet and gave me something to look forward to each day. Living on farm in Iowa was nice, but being in seclusion wasn't so good for this girl. It was hard. I was often times surprised at how the words would flow and the things that would come to mind to write about. It would get easy to waste days sitting in front of the screen, time would pass so quickly and before I knew it the kids were home from school. Writing was healing and meditative. I always liked to journal in my private time, so it was kinda the same just not with the privacy. And then I started linking up with other blogs and meeting new people and a whole new world opened up! I've met people I never would have met otherwise; some that have infuriated me with their words and others that have encouraged me and my faith like nothing else. I'm the girl with so many questions but not enough courage to ask them out loud for fear that I will be labeled in some way. But with blogging, I've met others asking the same questions out loud, and the world doesn't feel so scary anymore. My faith, my courage, all have grown as a result of writing. I'm not the same person I was two years ago. I'm more sure of what I believe and why. And my questions are a result of a deepening faith that I know now it's ok to ask. The voices of guilt and condemnation have gotten quieter because they know now they don't hold as much power as they used too. I never could have imagined that I would ever consider myself any type of writer; fear of rejection would have held me back before. But now I know that that is part of the process. This is life. My hope is tied into who God says I am, not in what others say I'm not. This space here, helped me get through a lonely time. I'm not sure how well I would have come out of Iowa without having this space to turn to. It kept me distracted and from going crazy. While God answered many prayers and led me on a new path to self discovery, He knew I was going to need something to keep my idle hands busy. Thank you Lord, for knowing what I would need when I didn't. If you are looking, searching, it's ok we all are. Find something to make you brave. That's forces you out of your comfort zone and into God's arms of daily portion. It doesn't have to be writing, whatever you are passionate about, whatever you would do if you had a money and time and no chance of failure (in a perfect world). That things that gets you excited and you would do everyday if you could. Take a step towards it today! Are you holding back from something that God is calling you to out of fear or uncertainty? I hope you will find your brave and do it anyways, even if you fail, at least you can say you tried! 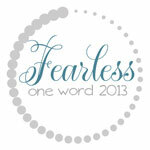 Let's claim the power of "Yes" this year and vow to live Fearlessly! Life is better when it's shared with others. I used to avoid community because I didn't really understand the importance of it. When you've been hurt in the past by best friends, you tend to move cautiously forward with future friendships. Authentic community is hard to find, even for the most extroverted of persons (which I'm not). Finding someone that you can trust your secrets with even when it all falls apart seems near impossible this side of heaven. Last year I discovered a group called (in)courage. And they spoke right to my heart of hearts on why I/we need community and someone in our lives to be real with. I was starting to feel like being alone was way more worth it than putting my heart and life out there for others to judge as they chose. I had relegated myself to a party of one. I would be my own keeper and if I really needed someone to talk to I would talk to Trey, or my sister...OK mostly my sister. But (in)courage gave me hope. Because the stories I read were the same as mine. They wanted authentic community but were having a hard time finding it. They had been hurt, but kept looking for it anyway. "Did other women really want the same thing as me, and struggle with it just as much?" "Are we all really afraid of being found out and rejected, so we wear masks to cover up and reject others first before they can do the same of us?" "Is it possible to have grown up friendships without feeling like I'm back in high school?!" God designed us for community, not to go on our journey's alone. Sure it can feel safer, but it's not better. Just as God said " it is not wise for man to be alone I will make a partner for him." Women need community and were made for community.God knows being alone leads to failure, like a gazelle moving in a pack to keep from being eaten by the cheetah, so we need to surround ourselves with a pack to keep moving ahead, lest doubt and fear eat us up. And, now that I know that I was made for community, I have to let others in regardless if they let me down or not, and regardless if I let them down. I'm learning to let go and trust God in this area. Because in order for life to work, in order for dreams and goals to work I have to trust and let others in. whom will hold me accountable when I get lazy or want to give up because things are getting too hard or taking too long. I can rest easy that I'm being prayed for and encouraged, and they can can too, because I will be praying and encouraging them as well. Kinda like life-cheerleaders. One of mine is Olivia, she is my online prayer partner and a budding photographer, and fellow dreamer. I am blessed to have met her and lucky that I have her praying for me as I am doing for her. 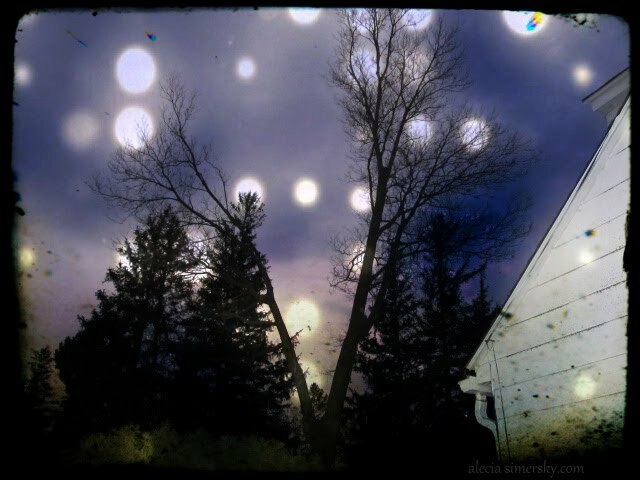 Check out her site, she is also teaching an online photography class you might be interested in! Will you take the brave first step of friendship today with me? It's scary and we might get hurt, but it will be SO worth it! Call someone to have lunch or coffee with. Call or text an old friend you haven't spoken with in a while; send a card. Someone right now may be wishing for somebody to connect with and you could make the step to a start of a beautiful friendship. Another blessing is the Hello Mornings Challenge , registration is still open until Wed Jan 23rd. Need more people praying over you in your life? This is a great way to get that and help you get up in the mornings! Are you a fan of Christian Fiction? Then I have a book for you!! And if you aren't a fan of Christian Fiction I still have a book for you! This book is great and I was lucky enough to be able to review it for the author Shannon O'Donnell, it's called Love's Memory. "It is only when you lose yourself that you find out who you are." Valerie Mahoney, a girl from the wrong side of the tracks, falls deeply in love with basketball star Manny Scott. Against his parents' wishes, the two wed and baby Wren soon follows. Years later adversity strikes and Manny begins questioning his youth decisions, including his love for his wife. Heartbroken, Valerie flees one night but a disastrous accident leaves her with amnesia. Distraught, Manny begins the desperate quest to find a wife who doesn't recognize him and return her home. Experience this soul-stirring story of God's redemptive power in LOVE'S MEMORY, Book One in the Scott's of Mountain Ridge Series. 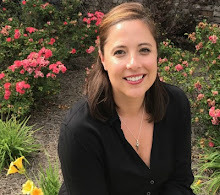 Watch for Shannon O'Donnell's newest novel WOODVIEW; and WREN'S SONG, Book Two in the Scott's of Mountain Ridge Series. If you follow this link it will take you to her link on Amazon to buy it for yourself. It's a book that once you start you have to finish, nothing else matters, it's that good. Once I sat down to read, I was immediately drawn into the characters. I was angry, then crying, then laughing the next. It takes you through all of these emotions and leaves you satisfied at the end. And I'm just not saying all of these things( I get nothing out of you buying this book, but the satisfaction of knowing that I helped recommend a good read to you). This is a fantastic story of what God can do in impossible circumstances. A story of God changing hearts and answering prayers. A story of hope and redemption. Plus did I mention 30 FREE gifts?! Read and be blessed friends! Isaiah 35:2 " Yes, there will be an abundance of flowers and singing and joy! The deserts will become as green as the mountains of Lebanon, as lovely as Mount Carmel's pastures and the plain of Sharon. 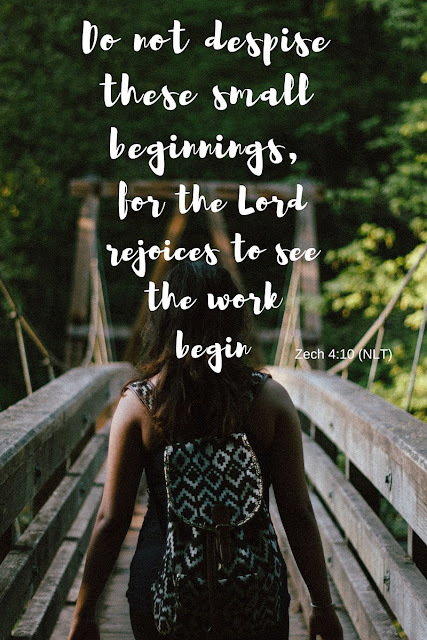 There the LORD will display his glory, the splendor of our God"
My dream...is to grow this blog into a full blown ministry. Bigger and larger than I can imagine it to be. Not to make me famous or big, on the contrary I'm probably inviting trouble, but to make God known. I envision this being a space full of people that are learning to walk in the freedom and grace of God. To love and accept and encourage those around us regardless of what stage of life we are in or how we do things. To give grace and accept it. To open this space to women that come here to tell their own stories free from judgement. The lost and lonely that are looking for the hope that's tucked inside of me. To share our beauty from ashes, hope redeemed stories. A place where you're allowed to be vulnerable and take off your "I'm fine mask," because sometimes, you know, life just down right stinks. To offer my own humble life as an example of what faith can do, when you dare to dream, live fearlessly, and take the path that looks so much like the wrong one. once you've been changed by Christ, you can't not live for Him, you have to live differently. That's where the name of the blog came from and how I hope I'm living each day and how I want to encourage those around me to live. 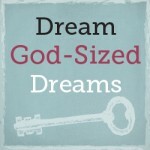 What is your God Sized Dream? Have you ever thought about it? Or do you not like to dream, because you don't think dreams come true? 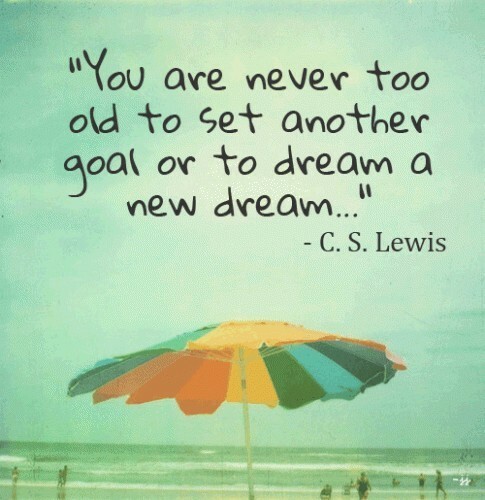 I've been challenged by Holley to dream, not just dream little-but dream big. 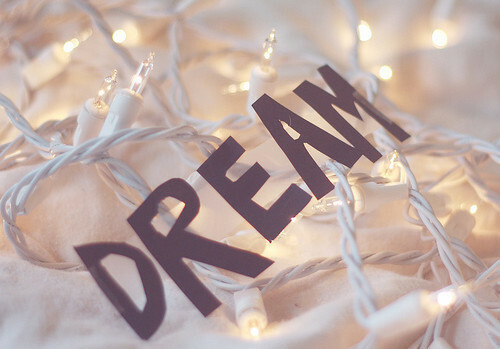 Dream so big in fact that my dream could only come from God. This type of dreaming is scary. Because what will people think? Do I dare speak it out loud? Will it stand up in the face of scrutiny and negativity and the Martha's of the world, aka realists, or dream killers? God-He plants dreams inside of all of us. That thing that gets you excited, makes your heart beat fast when you think about it, that, that's your dream~your passion. And you know what else? It doesn't have to humongous it can be small. It's your dream and all you need to do is take the next step towards it, doesn't have to be a big step, just one step towards overcoming your fears and procrastination. This may be a slow process and there may be times I want to throw in the towel, but I hope I persevere and run the race marked out for me. Because the attacks are already coming, not from outside sources but on the inside. It's pointless. Why are you even bothering, no one cares. You don't have anything to say that anyone will want to read. Dreams, are you kidding?! you?! Be afraid, cause you will fail and then you'll look stupid for declaring this to the world. Your not cut out for this, you don't have it all together, so how can you encourage others? Oh my, how they are coming. My stomach is in knots and I want nothing more than to delete,delete,delete. It would be so easy, and life would go on. No one else may care, but deep inside I will. I'll know that I had the chance to live a life fully and completely that was busting at the seems with joy, and out of fear I shelved the whole thing. So, it's with knots in my stomach and sweaty palms that I write this, boy am I scared, like hide under the covers and maybe pretend I didn't really just write this, scared. But I'll hit publish anyways, cause that's what I gotta do. Keep on keepin on. Ignore the fear is to defeat the fear. Because the One that lives in ME/YOU is bigger than every doubt and fear that could possible crop up in our heads. 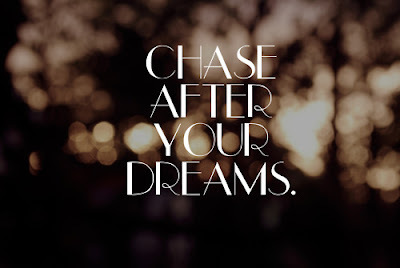 Will join the rest of the dreamers~ God Sized Dream Team led by Holley Gerth? 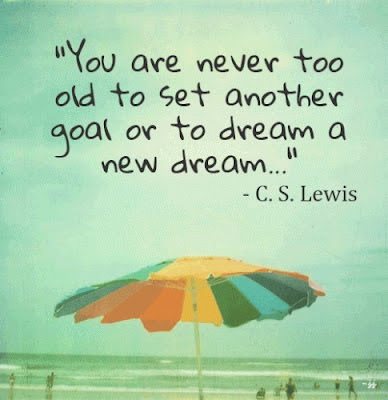 We're dreaming big and small and some of us are still figuring out what our dreams look like. 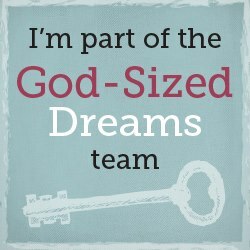 Got any God Sized Dreams you want to tell us about? Comment here and then click over to Holley's site, on Tuesdays she is hosting a link up for you to share your own God-Sized dreams and give you steps to take towards your goal. I'm praying for you sweet friend, together we can make this the year we fearlessly chased after our dreams. The year of 2013 is full of new opportunities. Will I be fearless and seize them is the only question I need ask myself. God lays them before me like a spread at Thanksgiving and I can choose to play it close to the vest and be safe or I can choose to accept the gifts that he is offering. This year is the year of "yes" I choose to say yes to every opportunity and let God shut the door on the ones that are not good for me. I choose to be fearless and trust. Things that I would normally shy away from out of insecurity and fear I will boldly move ahead with. And not be concerned with not being chosen or hearing the word "no"
2013 means carrying on the work that has begun, it is not finished, it is only just starting! Wanna join Lisa Jo and the rest at Five Minute Friday? She gives the prompt and you write for 5 minutes flat. No thinking and no editing. Just whatever comes to your head when you see the prompt.